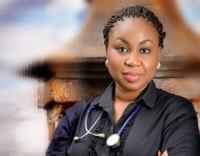 Dr Bolanle Oyeledun MBBS, M.Sc. MPH. 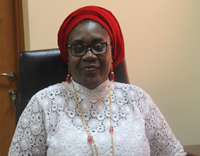 Chief Executive Officer at the Centre for Integrated Health Programs, (a leading indigenous non-governmental organization established to promote better health outcomes for all Nigerians) a position she has held from September 2011 –till date. Hauwa is a distinguished Chevening Alumnus, gender advocate, human rights activist, a professional Mediator and Conciliator and a lawyer with over twenty years post-call experience in women’s rights advocacy, conflict resolution, social research and consultancy. 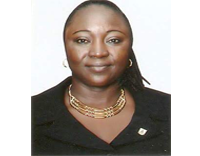 Dr. Ugochi Ohajuruka is the CEO and Founder ofHealth Aid For All Initiative (HAFAI) and the in-Country Director of Days for Girls international USA. She holds a Bachelor of Science (B.Sc.) degree in Microbiology from the University of Ibadan, Nigeria. She further obtained a degree in Medicine, (MBBS) and a Masters degree in Public Health (MPH) at the University of Liverpool, United Kingdom. She also took a course on International Women’s Health and Human rights at the Stanford University, USA. 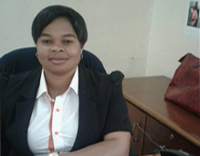 Joy is the CEO/Founder of Empowered to Empower the less privilege women Initiative (E2E Initiative) an NGO whose objective is to see to the development of the potential of rural women and girl-child by equipping and enhancing the inherent and acquired skills in them hitherto lying fallow. To the glory of God, Joy has trained and empowered over 60 rural women with startup resources through her #InvestInHer project and has also provided education mentorship and assistance to over 150 girls in Junior and senior Secondary Schools through her #GirlsForTheFuture project with no sponsorship.